Honey is nature’s gift to mankind. It is an all-natural substance known for its benefits that go beyond sweetening up your morning and afternoon tea. This means that it is recognized for overall health as well as beauty remedies. It is packed with a powerful mix of essential nutrients, which ensures your wellbeing, and gives your beauty routine a boost. Wonder how the use of honey is good for you and your skin? Its widely known that regular use of raw honey can make you look younger, and help you attain a smooth and glowing skin. The use of honey as a part of your beauty routine is recommended by beauticians as well as dieticians, dermatologists, nutritionists, healthcare coaches and trainers from all around the globe. Why do they recommend the use of honey? Because raw honey preserves the best qualities that are helpful for your face, body, and even your hair. It has anti-bacterial, antiseptic, anti-inflammatory, anti-oxidant, and wound healing properties, which make honey, the most ideal organic—all-in-one gift from the bees that ensures your overall health, and wellbeing. Honey, a magical potion that has a perfect blend of nutrients for women! It’s never too late to adopt healthy skincare habits, and include honey in your beauty routine. As per different clinical researches, and scientific studies, after you turn 25, there are a number of changes that start to happen in your body. Skin’s elasticity decreases, sunburns becomes more widespread, face/skin acne, and wrinkles become a common problem, hormonal changes occur, along with many other skin and bodily changes. When all this starts to happen, it’s a perfect time to evaluate your beauty and skincare routine. As far as the benefits of honey are concerned, the list goes on and on. However, this guide can help you achieve your natural health, and skin care goals as you use Raw Honey. The incredible benefits of honey are hidden from no one. It’s sweet, delicious, and adds a great taste to your food. It is probably the best natural sweetener the world has ever seen, and will continue to maintain its reputation as far as the honey-producing bees are alive. This golden-like liquid has shown to help fix a wide variety of skincare conditions, and reflected amazing healing powers. Here’s how women looking for a healthy natural living, and natural solutions to their life problems can benefit from honey. "This golden-like liquid has shown to help fix a wide variety of skincare conditions, and reflected amazing healing powers." Florida honey, whether raw, unpasteurized, or unprocessed has several health as well as skin care benefits. Its anti-oxidant and anti-inflammation properties are good for treating skin sores, wrinkles and aging skin while its antibacterial properties help with the prevention of acne and soothe skin irritations, blemishes, and give a lovely lasting afterglow. The use of honey on skin, body, and hair may be a little sticky, but the results are significant! How Does Raw Honey Benefit the Immune System? One of the top-most health benefits of raw honey is that it can act as a natural moisturizer when applied on face, or the body. It keeps your skin hydrated, and protects it against all sorts of dryness. 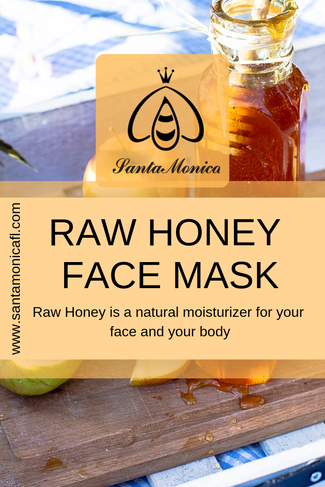 If you have dry and flaky skin, raw honey can soften your skin, and provide an afterglow on the face. It is probably ten times more effective than artificial moisturizers that have little to no effect on the skin. The effect of raw honey on your face and skin is long-lasting, and women in their 50s can feel it deeper than younger women. As mentioned earlier, honey is known for its anti-inflammatory properties. Although it feels sticky when applied on the skin, it treats inflammation and soothes skin sunburns. This incredible substance also ensures a soft skin, and treats razor cuts caused by shaving. Apply it directly on the skin and rinse it after 10-15 minutes, however, it would be ideal if you mix honey and Aloe Vera together to make it in a gel form and then apply on the affected area to have a calming sensation. The skincare benefits of honey are enormous. Its antibacterial properties help in treating scars, acne, and wrinkles. Despite being an excellent cleanser for Acne, regular use of honey can dramatically fade new, and old scars, and reduce wrinkles. Apply honey on the inflamed pimples, and leave it for 10-20 minutes to calm the redness. Since honey has strong anti-oxidants, it helps in preventing and controlling wrinkles and fine lines. This means that as you grow older, it can become your ultimate home remedy to regain elasticity and moisture, ultimately giving you a glowing skin once again. What do you expect from your hair conditioner? To give you an incredible shine to your dull hair, right? Well this is exactly what honey does as well. Honey has softening and moisturizing properties that make it a wonderful hair conditioner. It also has essential nutrients, and characteristics that are required for healthy hair growth. For accomplishing desired hair goals, mix honey with coconut oil, and apply the mixture on your hair. Leave it 15-20 minutes, and then rinse it with warm water. The benefits of honey are beyond measure. If you are looking to improve your skin include raw honey in your beauty routine to see a visible difference in your appearance and outlook. Wondering how honey is ideal for healthy natural living which provides an all-natural solution to treat many conditions? This blog can reveal vital information, and help you transform your daily beauty routine into an extraordinary beauty lifestyle. 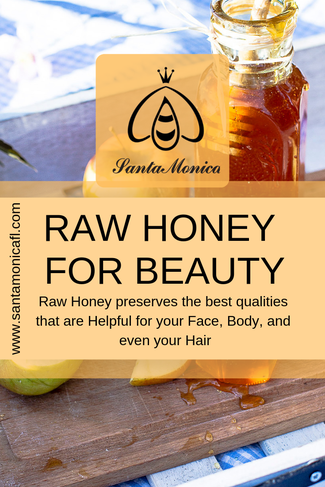 To order your Raw Honey visit our store www.Santamonicafl.com today! Ready to take your Raw Honey cravings to the next level? Join the Honey Club! YES, Satisfy your Sugar Cravings! Disclaimer: the medical, health, and skin care benefits mentioned in the blog are intended for educational purposes. Any statements made by Santa Monica honey highlighting the potential uses of its products are not guaranteed.